This is seriosuly just a teaser of things to come for NYCC but Rich “Dicky” Page posted this on his instagram yesterday. 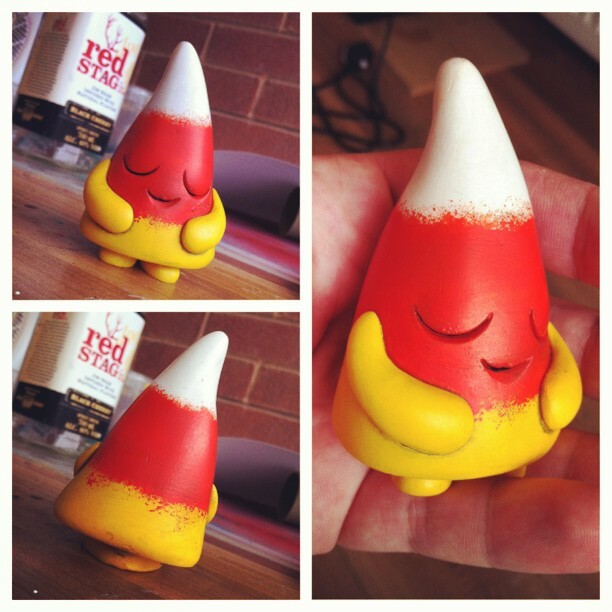 Just in time for Halloween is Peggy and it will coming to you for NYCC from BKGS and Ume Toys! 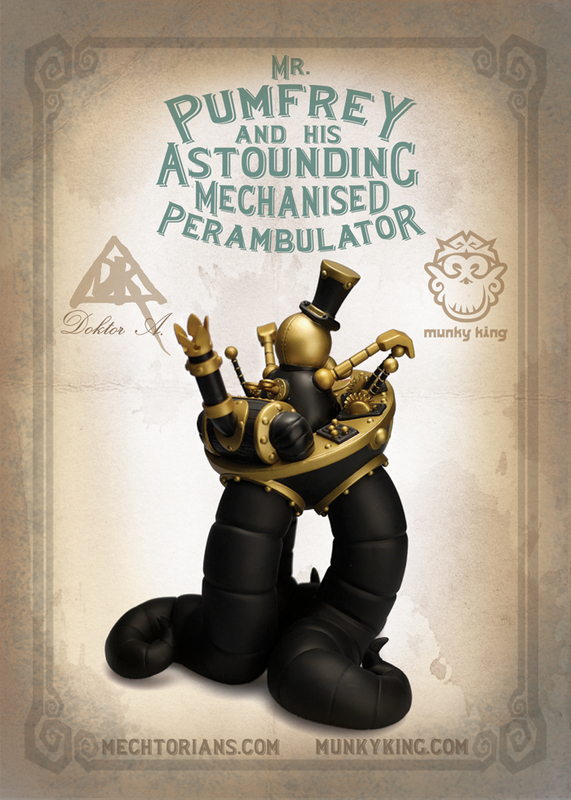 Doktor A.’s Mr Pumfrey and His Astounding Mechanised Perambulator is coming to SDCC in the “Autumn Amble Edition” which is a black, gold, and red colorway exclusive to the Munky King booth #4851 at SDCC. Sculpted by Dave Pressler and Julie B of Pretty In Plastic, is the latest in the Mechtorian line and looks complex and amazing as hell!. The cockpit of the machine is crammed with levers, gears and dials and comes with a removable Mr. Pumfrey. The red eye lenses are also transparent and reveal some of the inner workings of the machine. This figure stands 8″ tall. San Diegeo Comic Con is upon us shortly and the full schedule has finally been released. If you want to start picking what panels you won’t get to see while you wait in line for other panels check out the cons schedule here. And I didnt realize they did a breakdown by types when they put these these things together but thanks to our friends at Awesome Toy Blog for pointing this out, here is a link for just toy related events and panels. 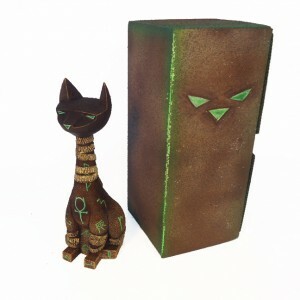 Argonaut Resins and Small Angry Monster have some awesome new releases coming on June 26th at 8pm Est in the Argonaut Resins Store. 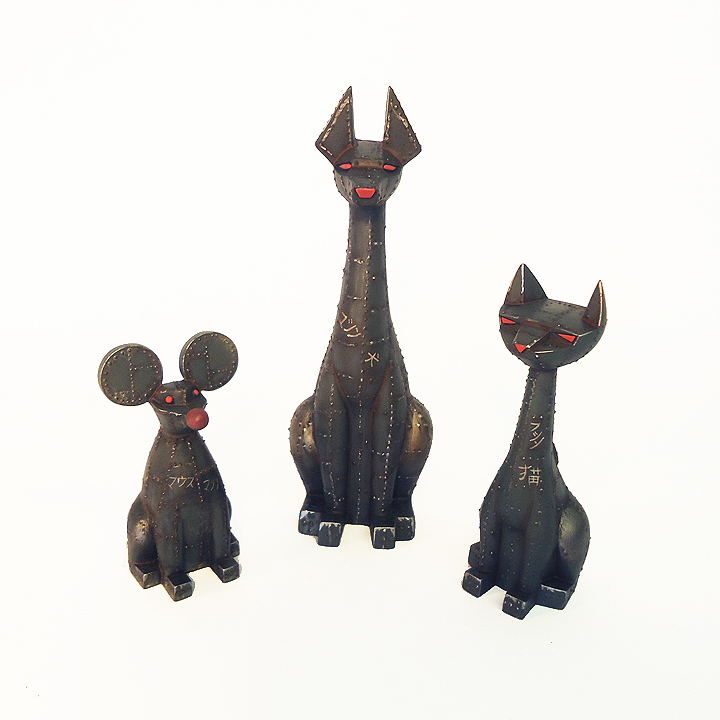 First up is the “Machine Cat” Tuttz Mini, “Machine Dog” Pharaoh Hound Mini and the Sucio “Machine Mouse” designs. These are the first part of a new series of colorways in the “Machine” style. The second release is the Cursed 8 inch Tuttz customs as a collabo between Small Angry Monster and Eric from Argonaut Resins. Each Cursed cat will come with a sand encrusted custom painted body along with a custom hand painted matching stone textured box packaging. This Friday(6/21) at 10am PDT, Scott Tolleson is releasing his Argyle Warrior Artist Proof Sets featuring the custom “Argyle Chief” with new custom necklace, 5″ x 7″ Arglye Warrior Print and an Argyle Warrior button. These sets will be available in Scott’s online store. Be sure pick one of these up and start your Argyle Army off right! Finally a teaser trailer for Frozen! Set to hit theaters 11/27/2013 and featuring voice work by Kristen Bell and Idina Menzel. I’m pretty excited for this. I love Disney 2D stuff but Tangeled renewed my faith in there ability to to do CGI well. The film is directed by Chris Buck from Tarzan and Jennifer Lee, screenwriter for Wreck-It Ralph, and is being produced by Peter Del Vecho from The Princess and the Frog. According to Deadline it has been confirmed that John C. Reilly is going to be playing Ronan the Accuser in the upcoming Guardians of the Galaxy movie from Marvel(Disney). In the traditional Marvel Universe Ronan is a member of the Kree race and is member if the Accusor corp, a sort of millitary tribual of judge and jury. However in the Ultimate universe Ronan is the Son of Thanos. Seeing as where these films are headed really either one works although I would lean more towards the Ultimate version in all likelihood. What do you guys think? Which version will he be playing and is this a good casting choice? Twentieth Century Fox Television will once again dominate the San Diego Comic-Con convention, with stars and creators of eleven of its highly-coveted, fan favorite shows at the world famous gathering next month. In addition to exclusive sneak peeks of its programs and panel discussions with the stars and creators of its shows, the studio will rotate an incredible line-up of talent through the newly expanded two-story Fox booth on the convention center floor, for star-studded autograph signings and exciting booth activities including distribution of exclusive 2013 Fox Fanfare Poster Tubes, collectible mini-posters, premium giveaways, DVD sales, as well as Fox iPad App demos available for fan interaction. MURDER POLICE: From David Goodman (Family Guy) and Jason Ruiz, this new animated FOX series follows a dedicated, but inept detective, Manuel Sanchez, and his colleagues – some perverted, some corrupt, some just plain lazy – in a twisted city precinct. Panelists David Goodman, Jason Ruiz, Will Sasso (The Three Stooges, MADtv), Chi McBride (Golden Boy, Hawthorne, Human Target), Peter Atencio (Key and Peele), and Justina Machado (Welcome to the Family, Private Practice, Six Feet Under) will unveil a sneak peek at footage, followed by a fan Q&A session. SLEEPY HOLLOW: Executive Producers Alex Kurtzman & Roberto Orci (Star Trek, Fringe, Spider Man 2) and Len Wiseman (Underworld, Total Recall) will unveil their highly-anticipated project with an exclusive, not-to-be-missed world premiere screening of the Pilot followed by a Q&A with fans featuring series lead Tom Mison (Parade’s End) and Nicole Beharie (42, Shame). BONES: Creator and Executive Producer Hart Hanson, executive producer Stephen Nathan and David Boreanaz return to Comic-Con to discuss what’s in store for Booth and Brennan and screen a reel of never-before-seen footage from the upcoming season, followed by a Q&A panel discussion. BRICKLEBERRY: Creators and executive producers Waco O’Guin and Roger Black, executive producer Zac Moncrief, along with David Herman (Office Space), Tom Kenny (SpongeBob SquarePants), Jerry Minor (Anchorman) and Natasha Leggero (Community, Burning Love) will abe on hand to premiere a hysterical episode from its second season followed by a Q&A panel discussion. HOW I MET YOUR MOTHER: For the first time ever, the hit sitcom visits Comic-Con to kick off its final season with an exclusive look at the show and a panel featuring Josh Radnor (Happythankyoumoreplease), Jason Segel (The Muppets), Cobie Smulders (The Avengers), Neil Patrick Harris (Dr. Horrible’s Sing-Along Blog) and Alyson Hannigan (Buffy The Vampire Slayer) and executive producers Carter Bays, Craig Thomas and Pamela Fryman. THE SIMPSONS: Celebrate The Simpsons’ 25th year on the air with Creator Matt Groening, Executive Producer Al Jean, Supervising Director Mike Anderson, Consulting Producer David Silverman, never-before seen footage from guest director Guillermo del Toro and musical guests “We Put The Spring In Springfield”! FAMILY GUY: The Griffins are back at Comic-Con for another raucous panel and a sneak peek at season 12 featuring Seth Green (Robot Chicken), Alex Borstein (madTV, Shameless) and executive producer Rich Appel (The Simpsons, The Cleveland Show) plus other surprise guests. AMERICAN DAD: Join us for an exclusive look at the new season, the world premiere of a song from the never-before-seen Christmas episode featuring the return of Krampus and a Q&A with fans featuring Wendy Schaal, Rachael MacFarlane, Scott Grimes (ER, Band of Brothers), Dee Bradley Baker (Phineas and Ferb, Star Wars: The Clone Wars) and more. SONS OF ANARCHY: Get an inside look into the world of FX’s highest-rated series ever, with creator Kurt Sutter (The Shield) and stars Charlie Hunnam, Katey Sagal, Ron Perlman, Maggie Siff, Kim Coates, Mark Boone Junior, Tommy Flanagan, Theo Rossi, Dayton Callie and Jimmy Smits. 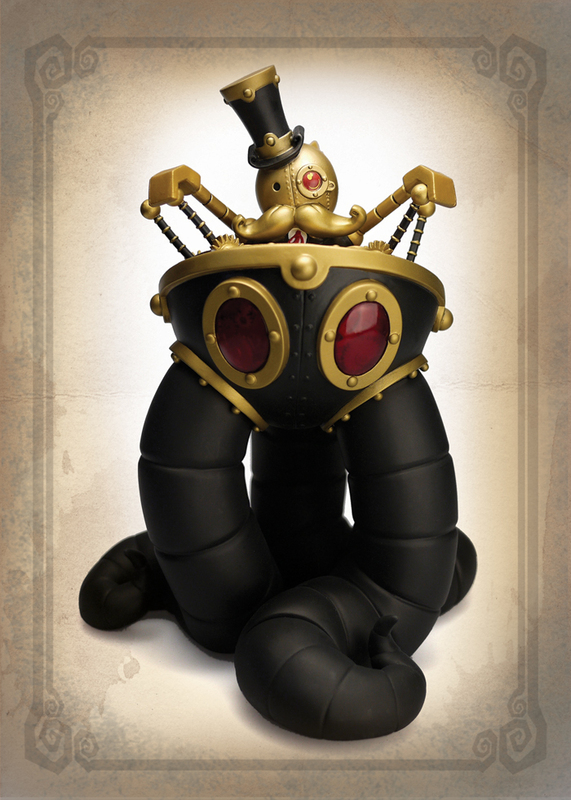 Dark Horse Newsfeed and SDCC exclusives rolls out starting today! 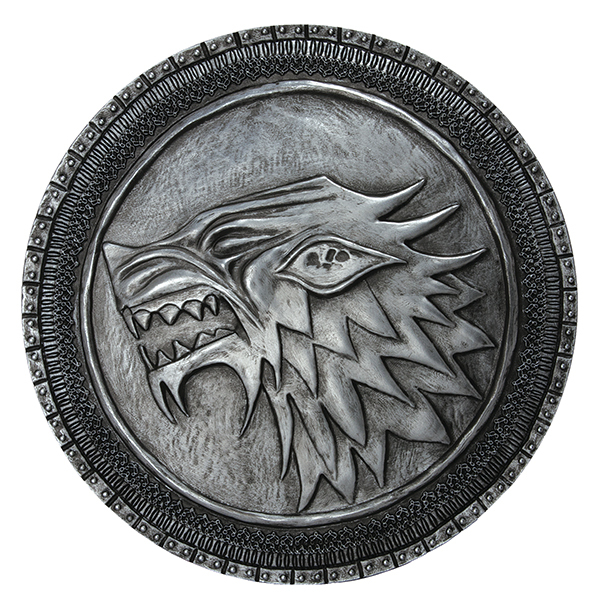 Up first, and limited to only 1200 pieces ( 2 per person) is a 7-inch replica of the Stark shield from Game of Thrones. Each ones comes with a hook for mounting and will sell for $30 a piece. Stay tuned here and to Dark Horse’s twitter feed all week. One announcement will be made per day at a random time. Of course when you get to SDCC in July check out Booth #2615 for all of the Dark Horse goodness.